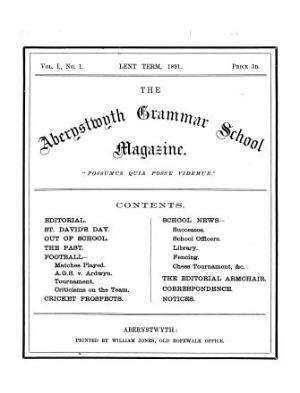 The triannual periodical of the Aberystwyth Grammar School, which published mainly school news, especially sports news, alongside poetry and general articles. Amongst the periodical's editors was the poet Alfred Noyes (1880-1958). Associated titles: Jasper House School Magazine (1898).